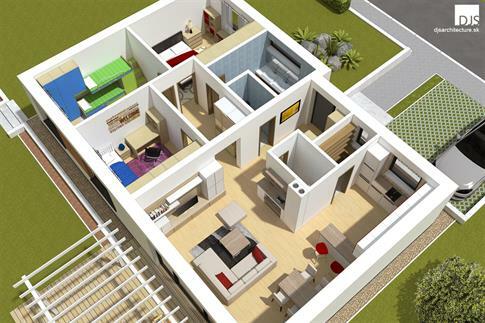 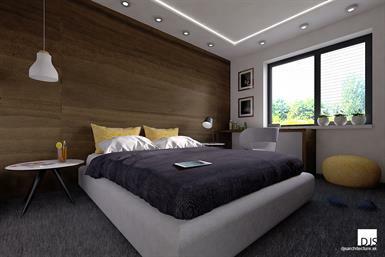 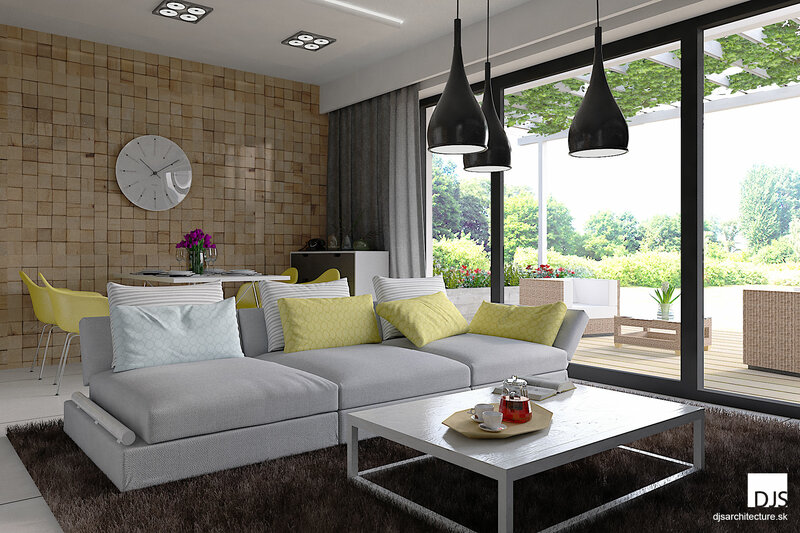 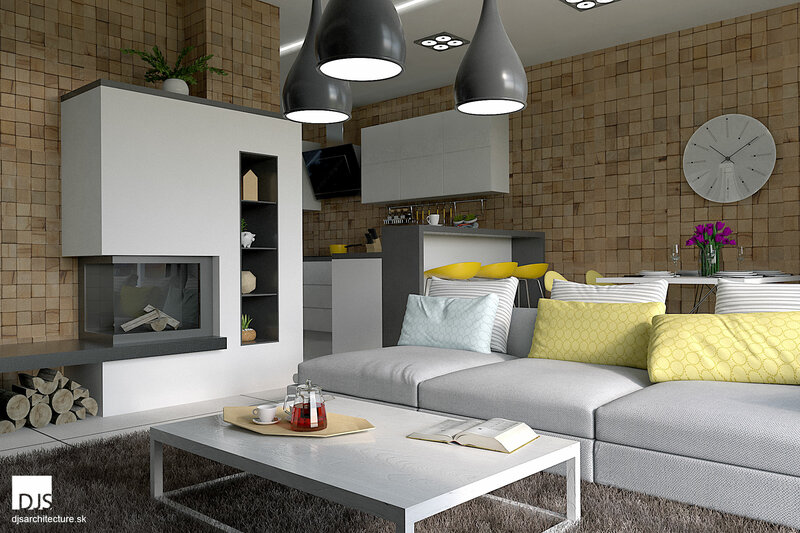 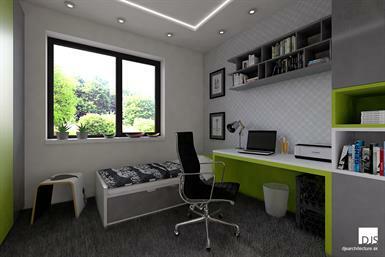 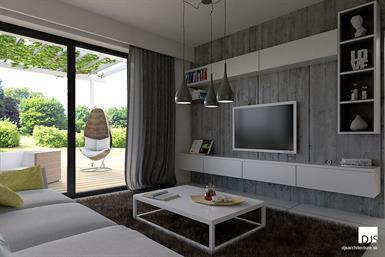 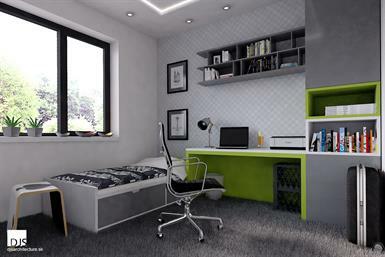 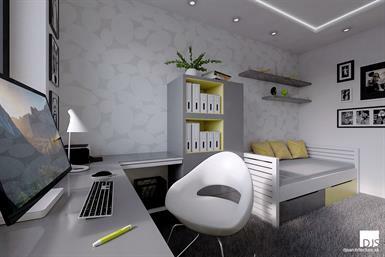 Separate living space from bedrooms and rationally designed rooms ensure maximum use of space. 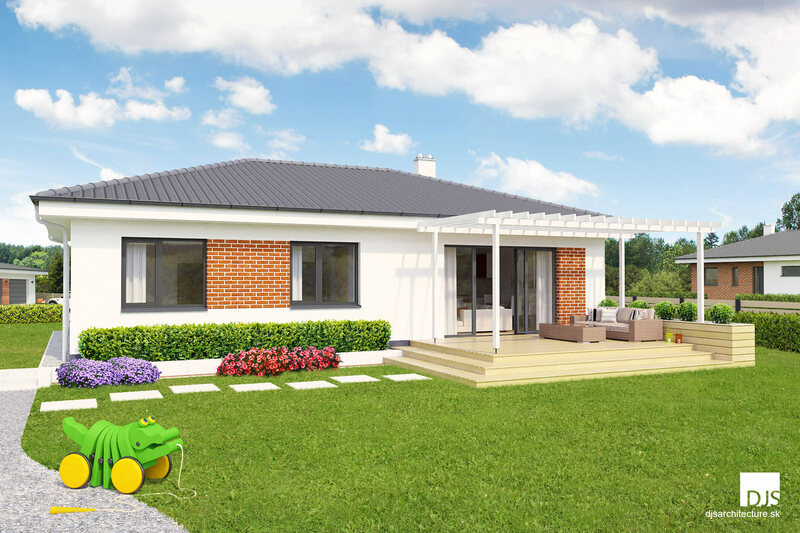 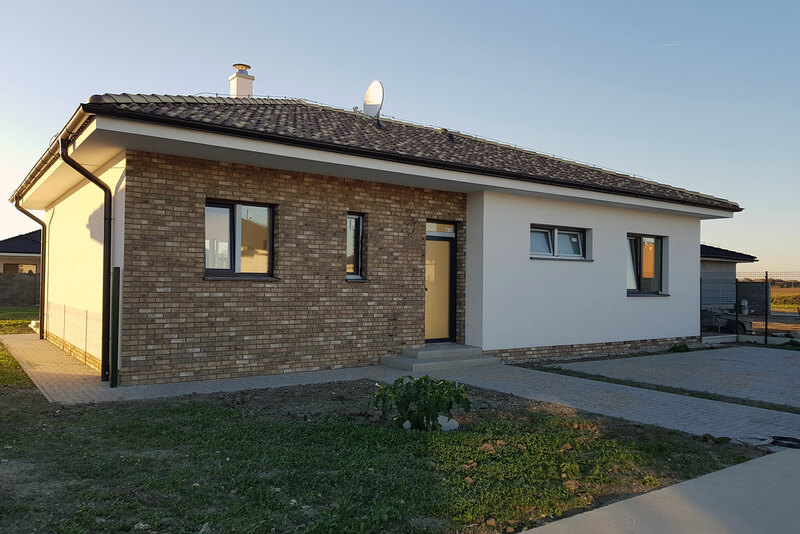 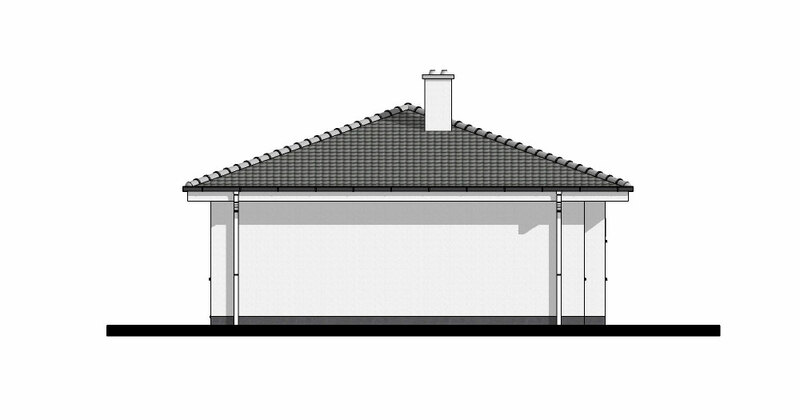 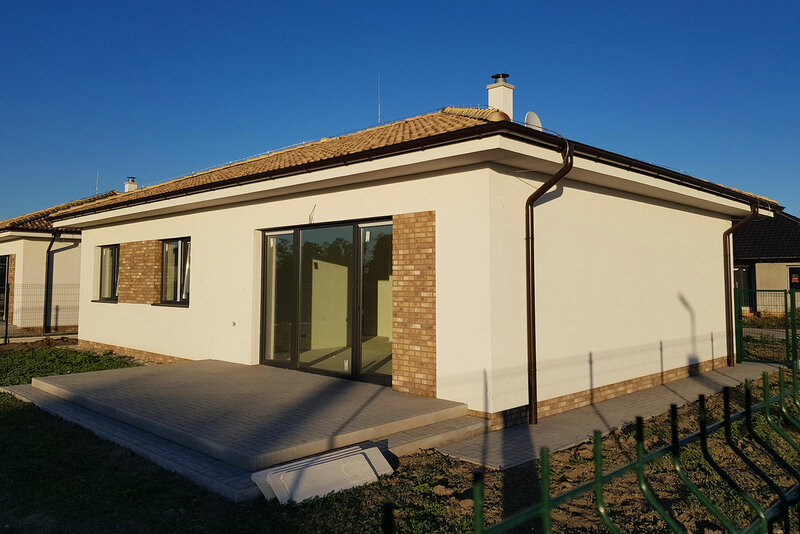 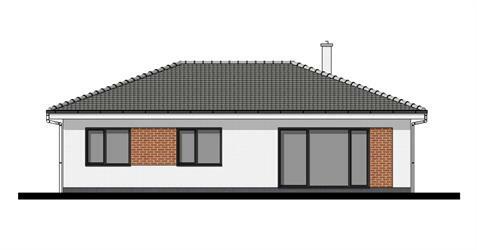 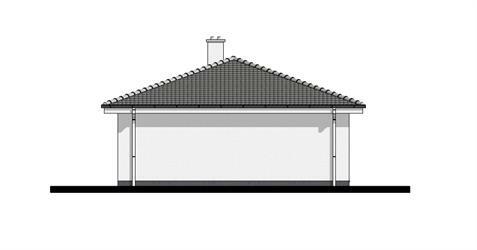 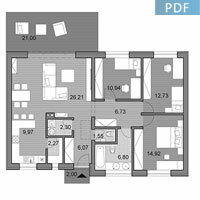 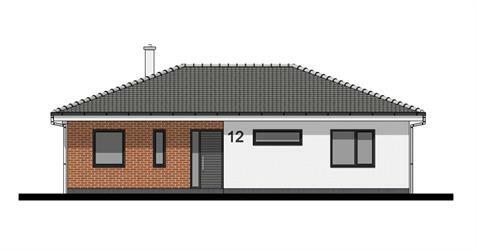 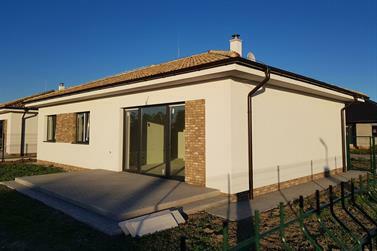 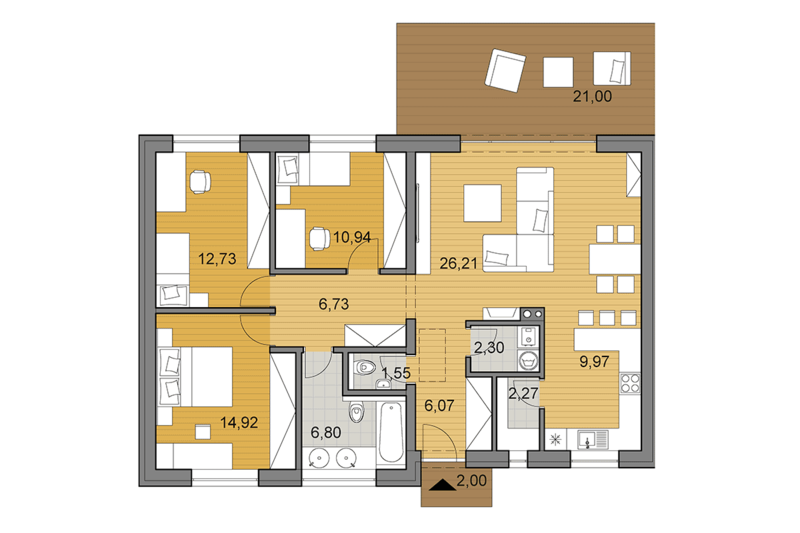 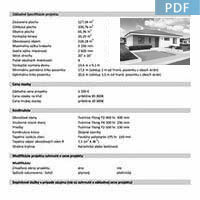 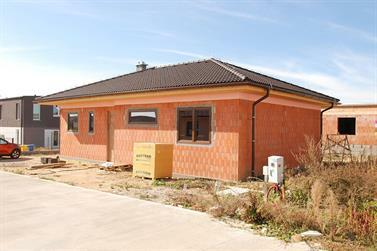 Modern low-energy bungalow of rectangular shape suitable for sites from width of 17.60 m (clearance 2.0m on both sides). 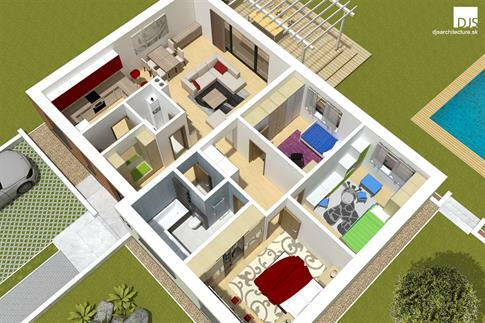 The house is divided into day zone and private zone which is increasing the level of privacy of its residents. 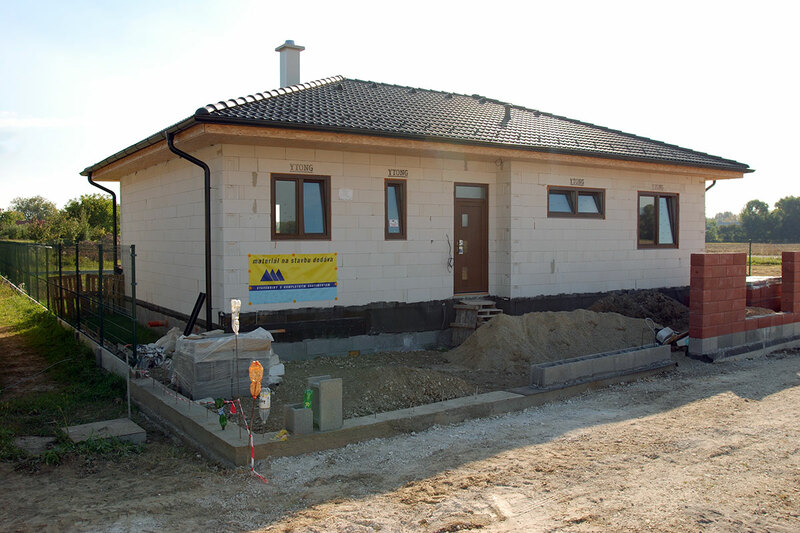 Covered approach from the street side shelters in bad weather. 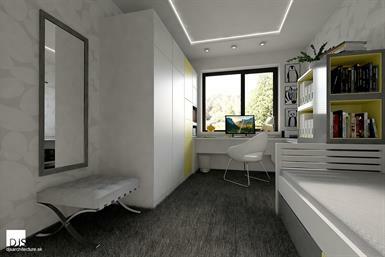 Behind it you can find entry hall with storage space. 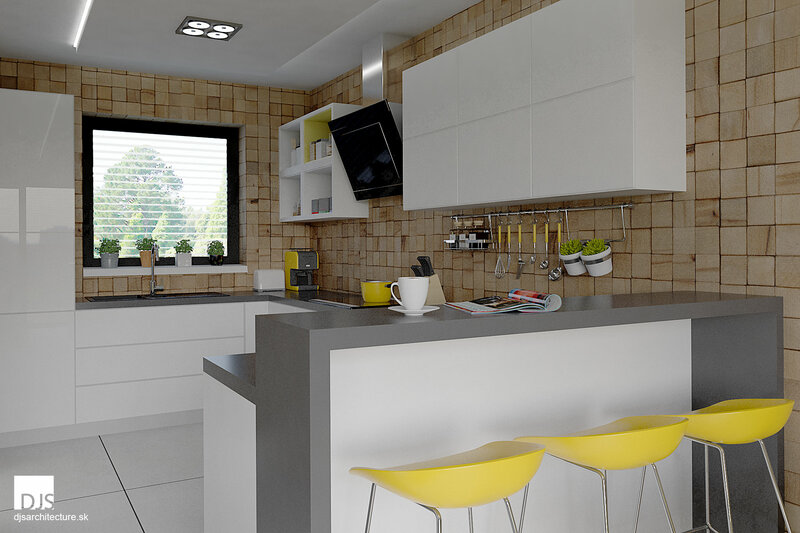 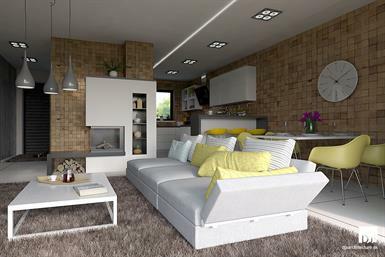 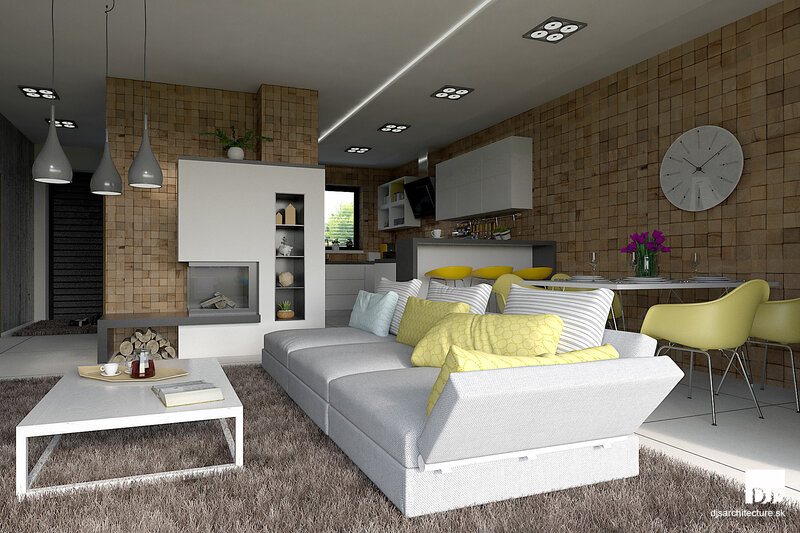 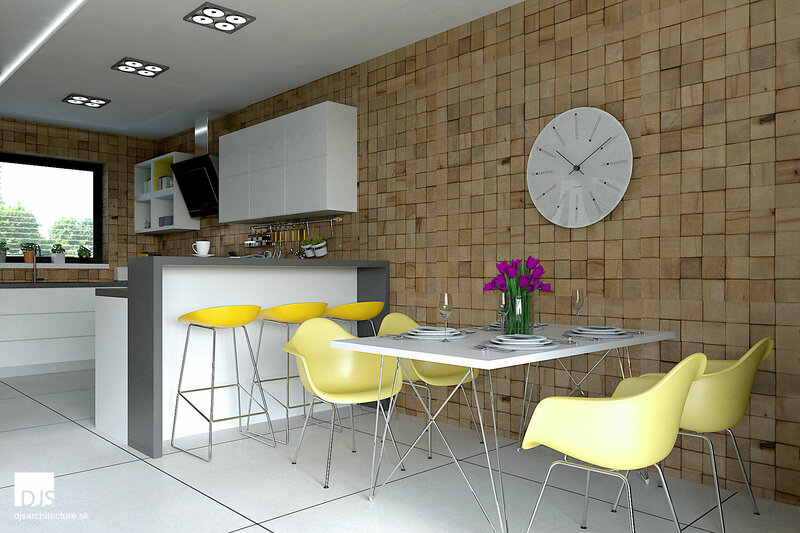 Living room is combined with kitchen, but in case you prefer two separate rooms, it can be divided by wall. There is a large patio connected with living room through large glazed wall, which is ideally orientated towards south. 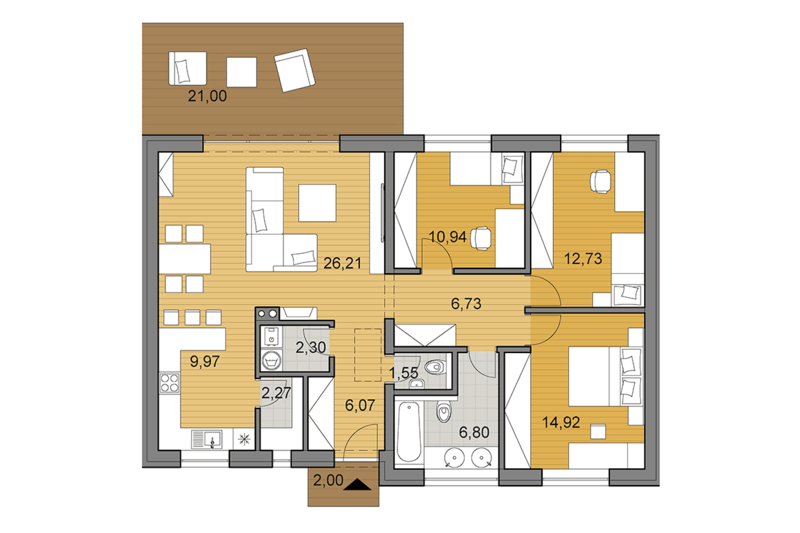 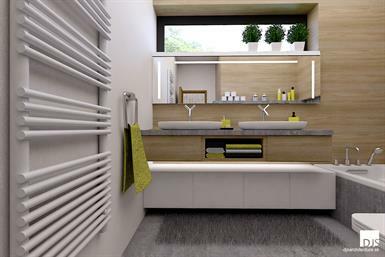 Private zone of the house contains three bedrooms with bathroom. 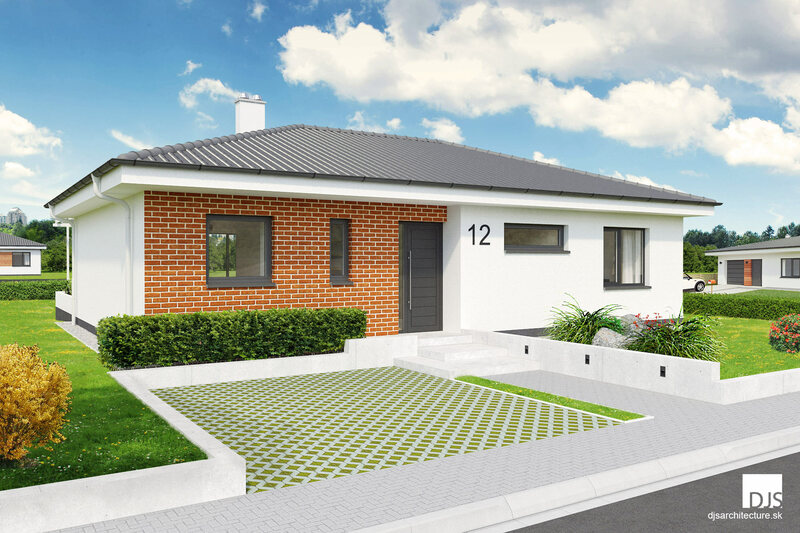 The house is designed as a combination of white plaster and a brick cladding of red color. 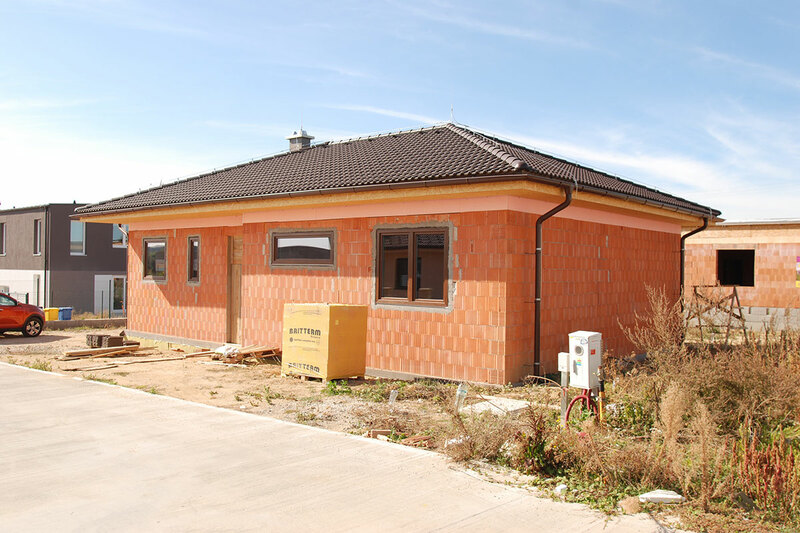 The roofing is concrete of gray color, the windows are plastic of anthracite color.